An Emirati state minister Friday welcomed changes to Qatar's anti-terror legislation as a "positive" step in the crisis between Doha and four Arab neighbours which accuse it of backing extremists. Qatar announced a decree by Emir Sheikh Tamim bin Hamad Al-Thani late on Thursday establishing two nominal lists of individuals and terrorist entities, and the requirements for being included in them. It also defined terrorists, terrorist crimes, terrorist entities as well as the financing of terrorism. The decree follows the signing on July 11 of a US-Qatar agreement to combat terror funding during a visit to Doha by US Secretary of State Rex Tillerson to try to defuse the Gulf crisis. However, the four Arab countries at odds with Doha dismissed that deal as "insufficent". On Friday, the UAE state minister for foreign affairs welcomed the latest Qatar move. "It is a positive step to deal seriously with the list of 59 terrorists," Anwar Gargash said in a tweet. "The pressure linked to the crisis has begun to bear fruit." But Gargash, repeated his demands for Qatar to reorient its policies in order to ease the crisis with its Arab neighbours. "It would be wiser (for Qatar) to totally change its (political) orientation," he said. The dispute erupted when regional powerhouse Saudi Arabia, the United Arab Emirates, Bahrain, Egypt broke ties with Qatar on June 5, accusing it of backing extremism. Doha denies the claim. They have imposed sanctions on Doha, including closing its only land border, refusing Qatar access to their airspace and ordering their citizens back from Qatar. On June 9, Saudi Arabia and its allies published a list of 59 people and 12 organisations they accuse of involvement in "terrorism" with support from Qatar. Doha rejected the claim as unfounded. 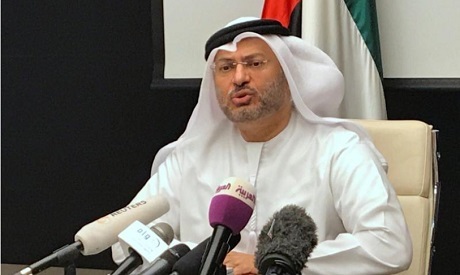 And on June 22, they went on to present the emirate with a list of 13 demands with which to comply to end the worst political crisis in the region for years. The changes Qatar announced to its anti-terror legislation amend an earlier law published in 2004 but Thursday's decree did not provide details of the exact nature of the revisions.